Israel pursued a diplomatic solution to the tensions with Egypt in May 1967, ahead of the Six Day War, but to no avail. In response to then Prime-Minister Levi Eshkol’s statement that he preferred to solve the conflict diplomatically, Egypt imposed a naval blockade on Israel. It was an act of war. Even then, Israel refrained from taking action – until there was no choice. Egypt declared its objective to destroy Israel completely, and five surrounding Arab nations attacked the Jewish state. Israel reluctantly fought a war to defend its very existence and won an astounding victory, including the reunification of Jerusalem, the liberation of the ancient Jewish homeland in Judea and Samaria and capturing the strategic Golan Heights. The IDF also captured the Sinai Peninsula, which it returned to Egypt in a peace treaty in 1979. 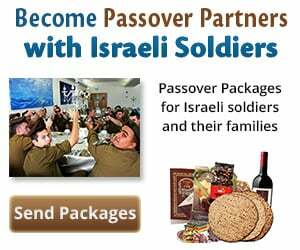 The IDF’s brave soldiers protect Israel's citizens against any threat, in the north or the south, land, sea or air. Get an inside look at these magnificent defenders of the State of Israel in this exclusive IDF ebook from United with Israel. 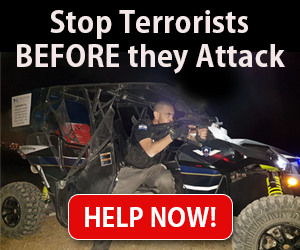 CLICK HERE TO DOWNLOAD: ISRAEL DEFENSE FORCES 24/7. WATCH: The Amazing 6-Minute Crash Course on Passover! Why Are Jews Commanded to Drink on Purim?